Pivo! You’ll hear this word dozens of times when you enter a Czech pub, or “pivnice”. Pivo means beer in Czech, so it’s one of the most important words to learn before vising Prague as the Czech Republic is the number on consumer per capita of beer in the world (160 liters annually). That is one bottle of beer for every man, woman and kid living here per day! This has been fact in nearly last hundred years. Czech beer comes in a variety of degrees or percentages, ranging from 6-19%, indicating the amount of malt extract used during the brewing process. Of course, malt contains sugar, so to some extent we can claim that the higher the percent (malt used), the higher the alcohol. So though the degree doesn’t clearly indicate the alcohol percentage, the general rule of thumb is the alcohol content is one quarter of the degree (so, a 12% beer is approx. 3% alcohol). Almost 97 % of the Czech beer production comprises of light, bottom-fermented beers in the Pilsner style. In 1842 it was the Czech brewery in the city of Pilsen that has given the world the brand name of Pils. While Czech breweries used to be restricted to only monasteries, the ban was lifted in 1250, and more and more brewers began perfecting the art. Today, mini-breweries are rising in number, putting their own mark on the centuries old tradition of brewing. 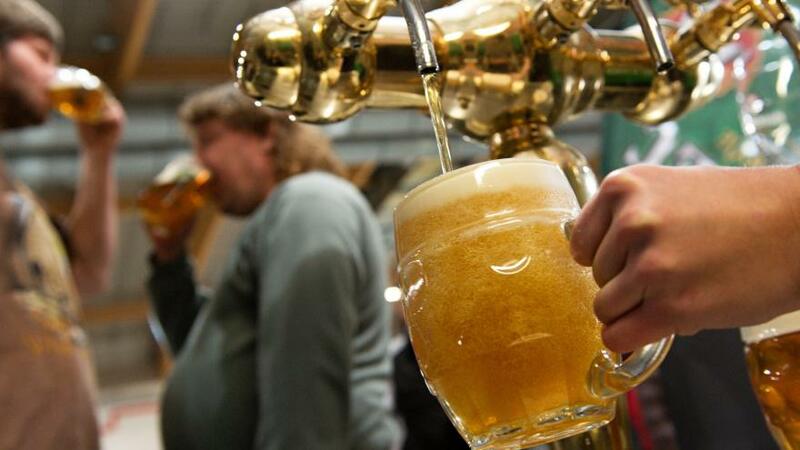 The number of mini-breweries in Czech republic is slowly approaching 250 (about 20 in Prague). Do you find the facts about Czech beer interesting so far? Why don’t you join one of our brewery tours and find out more? The best temperature at which to drink beer is somewhere between 7-10 degrees Celsius. Which is by the way achievable by keeping it on the seventh step down to the cellar. The Union of Czech Brewers and Malt Houses drive the geographic trademark of “Czech Beer”. In 2008 it introduced clear and strict rules about location, method and ingredients the Czech beer must be brewed from. Most popular beer styles here are still the “Czech” lagers followed by many others genuinely produced and professionally treated beers. Let’s name e.g. Weiss bier, bock, porter, stout and most mind-blowing other experimental brands. Czech beer has been brewed at minimum since about 993 AD. Brewing in this early stage has been associated mostly with monasteries. The first reference of the brewing process according scripted documentation reveals that Benedictine monks brewed beer in the Břevnov Monastery.